The Queen to deliver Christmas Message in 3D | What Hi-Fi? 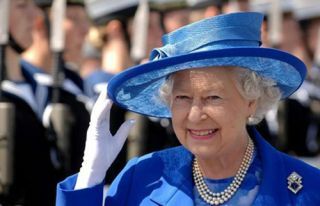 The Queen is to make history by becoming the first Royal to be broadcast in 3D. This year's Christmas Message will be broadcast in 3D for the first time, having been filmed in the new format on Friday. The Queen's Christmas Message has been filmed by BSkyB and will be made available to the BBC and ITV. The Queen already has a YouTube channel and a Twitter account, not to mention plenty of parody accounts, and now becomes the first Royal to be broadcast in 3D, Prince William having declined the opportunity to have his wedding to Kate Middleton filmed in 3D. This year's Christmas Message is expected to focus on the Olympics and the Diamond Jubilee.